Thousands of years ago our herbal ancestors originally crafted the herbal extracts by gathering different plant materials. 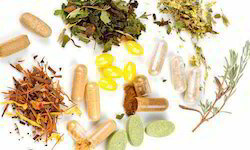 Since then, herbal extracts have found a vital place in many traditional and modern medicine systems. 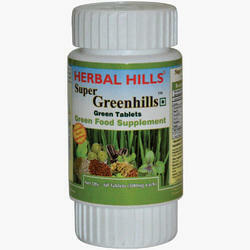 Herbal extracts have proven their worth over time and are now gaining popularity all over the world. We are devoted towards offering the qualitative range of Herbalife Herbalifeline, as per client’s precise need and requirements. It enables you to benefit from the fruits of the sea; formulated to help maintain simple joints, and to support the natural function of the heart and blood circulation. Product InformationDr Wheatgrass Supershots contain significantly higher level of antioxidant than fresh wheatgrass juice. Just one 5ml shot a day is all you need to enhance and maintain your health and wellbeing. It comes in a bottle. It lasts up to two years. It is economical ….and it tastes good! Usage/Application: Take one softgel with a meal two to three times per day. Reduces the symptom like fatigue, lack of alertness, tiredness. Helps to reduce the size of the enlarged gland. This is the combination of Awala, Harad and baheda. It helps to remove toxins outside the body.